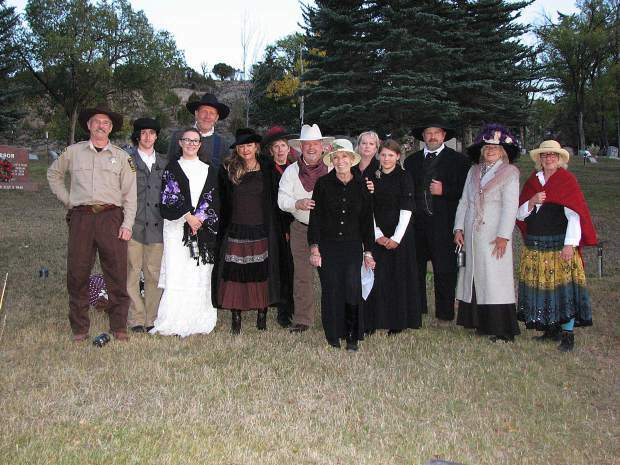 There were plenty of interesting characters at the Eagle County Historical Societyâs Sunset View Cemetery Tour. From left are Coot Overcash, Keith Buckelew, Molly McCoy, Jamie Harrison, Sarah Pounder, Sandy Van Campen, Brian Hall, Jill Cleghorn, Cindy and Taelia Jones, Mark Vodopich, Kathy Heicher and Nancy Powell. We appreciate the support from our sponsors and participants.You can see more photos at www.eaglecountyhistoricalsociety.com.